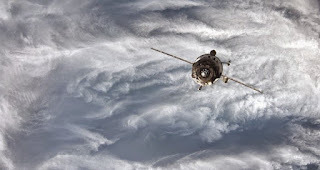 Earlier on Tuesday the Russian Roscosmos state space corporation said in a statement that the Progress MS-09 space freighter would become the fastest spacecraft in the history of the International Space Station (ISS) and will reach it in a record time of less than four hours. "Such a decision was taken by the State Commission based on the assessment of the parameters of the cargo spacecraft's placing in orbit around the Earth. The two-rotation scheme for spacecrafts' docking with the ISS will be used for the first time in the history of space flights," the statement released on Roscosmos' website said.